Our Tempranillo Grapes originate from the Ribera del Duero region of Spain. This region is internationally known for its rich and complex world class reds. As the Noble Grape of Spain, this Spanish varietal produces medium to full bodied wines with flavors of plum, dark sweet cherries and good tannins. Based on its Mediterranean roots, it is right at home in the foothills of the Central Valley. Our Tempranillo is the Duero clone and is grafted on 5BB rootstock. Our Grenache (France) or Garnacha (Spain) produces large clusters that while are lighter in color, offer intense strawberry, raspberry and cherry flavored fruit which complements the bright and spicy characteristic of this varietal. 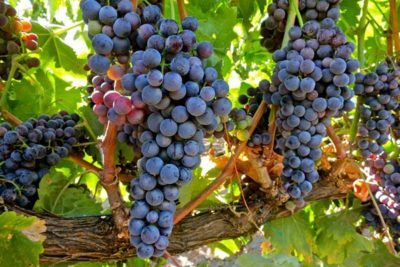 While Grenache has been used as the backbone for many blends, it can produce an outstanding fruit forward medium body wine as a varietal, or it can be picked early at a lower brix for rose programs. Our Grenache is the clone 362 and is on 5BB rootstock. 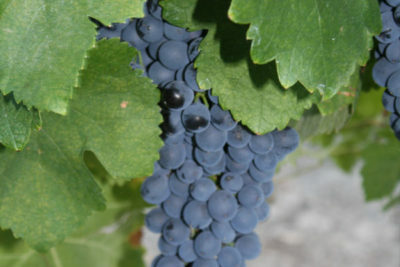 Petit Verdot is typically known as one of the traditional great Bordeaux blending varietals. It has small, almost black, thick skinned fruit that is highly concentrated in color, tannins and blackberry flavor. Accents of caramel and chocolate are also a common characteristic to our fruit. 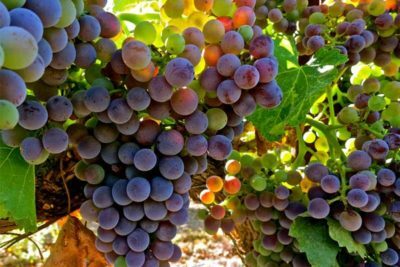 This late ripening varietal can routinely achieve brix of 27% while remaining in balance and does very well in Hunters Oaks terroir. Our Petit Verdot is the clone 2 and grafted on Freedom rootstock. 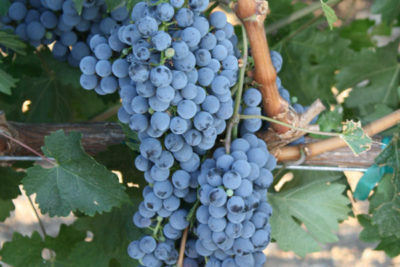 Cabernet Sauvignon is the most recognized and widely planted grape varietals of all time. Its history dates back to the 17th century in Bordeaux France. 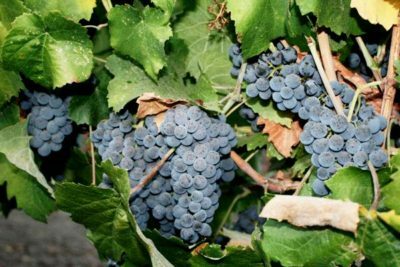 This varietal is hardy by nature and produces small dark fruit with thick skins and offers a variety of complex flavors and aromas. It does extremely well in warmer climates and on hill sides or in well drained soils. Our Cabernet Sauvignon comes from the highly coveted 337 clone and is on 5BB rootstock. This small block is planted on a terraced hillside and thrives in the Clements Hills AVA. For centuries Syrah has been recognized as the premier and classic wine grape of the Rhône Valley in France. It produces very dark thick skinned fruit that casts deep dark color and highly concentrated blackberry flavor as well as bold tannins. Syrah is an extremely vigorous varietal that thrives in warmer climates and is very well suited to the terroir of the Clement Hills AVA. Our Syrah Noir is grafted on Salt Creek rootstock.